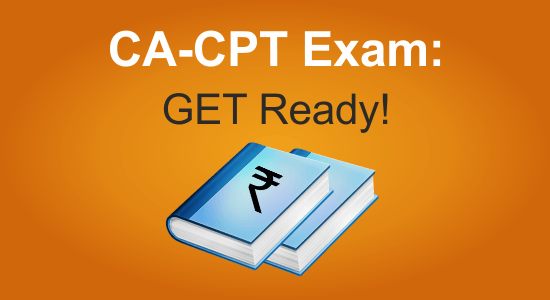 CPT is called the Common Proficiency Test and is the entry level for the CA exam. It is held twice a year in June and December. The exam is held on the third Sunday of that month. One can be taken admission to the Chartered Accountant course after completing class 12th. 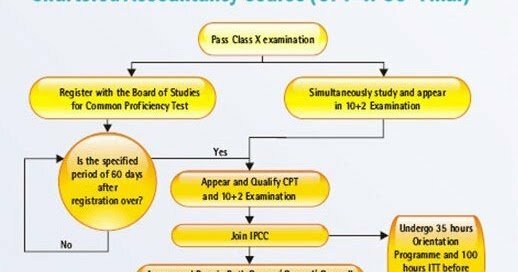 To appear for this exam candidates have to register themselves with ICAI for the CPC course. They should be registered with the ICAI for the CPC course. The registration is only for3 years and if time period expires a candidate has to revalidate his registration. # Exam is of 4-hour duration having two sessions which are of 2 hours each. There is a break between both these sessions. Exam centres are all over in India and a few exams centres are overseas. They are in Kathmandu, Dubai, Doha, Muscat and Abu Dhabi. This CA course is to educate and give them practical experience so that they come out in flying colours when they become proper Chartered Accountants. Since getting through CPT is an arduous task one should balance both studies and fun as too much study can make you dull. A few tips to help you breeze through. Too much study at one time can clog the brain and the study will not produce results. One should space one’s study into shorter periods and take regular breaks while studying. During this period one should read, write, work on a project and this time should be specified during the week. This way regularity is maintained in the study. It should be at the same time every day. Keeping goals can help a candidate monitor his progress. One will be able to accomplish his goals fast by doing this. One should keep one’s promise to oneself and start studying when planned. One should start work on a difficult assignment first and then go on to an easy one. One should review one’s notes before starting. One shouldn’t be distracted while studying so one should avoid calls, chat when one sits for study. One should frankly tell friends not to give calls while he/she studies. As this can spoil the study flow. Best is to mute the phone while studying. One should review one’s work at the weekend by discussing with other candidates. This will help build up self-confidence. Practising both these things can help a student come out in flying colours. So it is practice, concentration, and focus which can help a person get through CPT. Preeti TALWAR is a doctorate in science, who has worked as a Research Associate under a U.G.C fellowship, worked as a Proofreader with Thakur Publishers, Worked as a Content Writer for Planet Spark, India Go Social, Planet writer, Story Mirror, Student Star, Odds spaces. Well published on national and international media. Published for the Chicken Soup Series. Author on different forums like YourStory, Bonobology, Thrive Global, Women's Web, The Country esquire magazine.uk.20, Newsnviews, Sheroes, Different Truths. Writing is adrenaline for Preeti's soul. Exam Stress | What is Exam Stress and how to beat it?